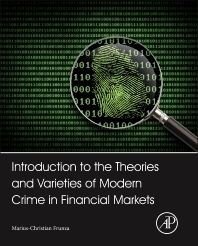 Introduction to the Theories and Varieties of Modern Crime in Financial Markets explores statistical methods and data mining techniques that, if used correctly, can help with crime detection and prevention. The three sections of the book present the methods, techniques, and approaches for recognizing, analyzing, and ultimately detecting and preventing financial frauds, especially complex and sophisticated crimes that characterize modern financial markets. The first two sections appeal to readers with technical backgrounds, describing data analysis and ways to manipulate markets and commit crimes. The third section gives life to the information through a series of interviews with bankers, regulators, lawyers, investigators, rogue traders, and others. The book is sharply focused on analyzing the origin of a crime from an economic perspective, showing Big Data in action, noting both the pros and cons of this approach. Dr. Marius-Cristian Frunza's consulting work with investment banks and asset managers allowed him to specialize in risk management, derivative pricing and hedging. His research activity encompasses topics around environmental finance like forestry, energy, and weather derivatives. He graduated from the Ecole Polytechnique in Paris and holds a PhD in mathematics from the Sorbonne university. He is also a partner in Schwarztal Kapital, an independent advisory and investment firm in environmental finance.